I am always on the lookout for books that are gripping, stimulating, and moving (aren’t we all!). It is not enough for me when a book is clever. 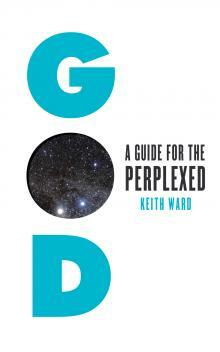 And Keith Ward’s book ‘God: A Guide for the Perplexed’ is certainly clever, but unfortunately not affecting in the ways that I am looking for. As the title suggests, this is a book all about God. Ward does his best to try to offer many perspectives from the history of philosophy and religion in relation to this subject. Many of the big names of philosophy are mentioned, but the author never discusses any particular figure in much depth, and rather skims over each philosopher and each particular subject. The effect is that nothing really substantial is communicated. I would struggle to recall anything at all from the book that was actually touching or memorable. I would have much preferred a book that was less scatty in its approach to a discussion about God. For instance, I would be happier if the book had a clear and coherent progression of chapters (thematically?) and focused on a few ideas in depth rather than dozens of ideas in passing. The language could be simpler or at least where technical words are used they should be defined clearly. The great downfall of this book is that despite being about the most fascinating subject there is – God – the book fails to evoke the kind of feelings of awe, mystery, and intrigue that this subject deserves. Ward is obviously knowledgeable, and a lot of research must have gone into this book, but it fails to leave any lasting impression. Jesus Christs as defined: Second member of Triune God, Son of first part of Triune God, but also “fully” God in every respect. I never found even a single man who could accept or deny it.